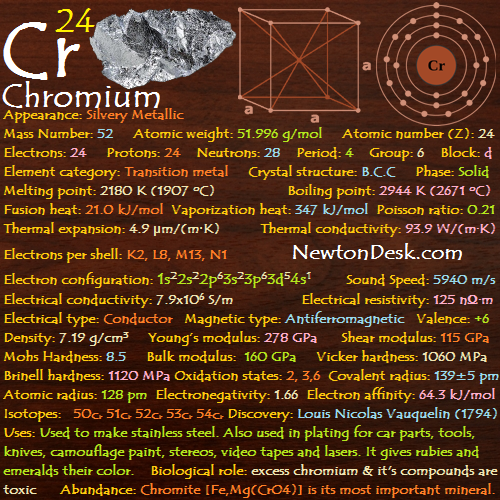 Chromium is a silver-gray, lustrous, hard and brittle metal. Which can be highly polished and does not tarnish in air. But when heated, It forms the green chromic oxide. It is unstable in oxygen, it immediately produces a thin oxide layer that is impermeable (not allowing fluid to pass through) to oxygen and protects the metal below. 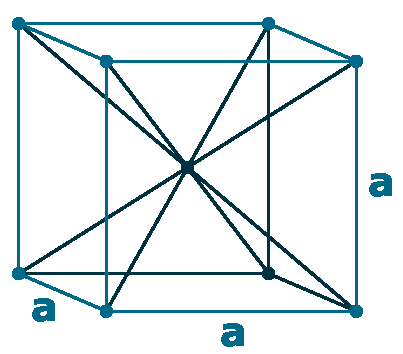 AChromium doesn’t react with air and water, at normal temperature. 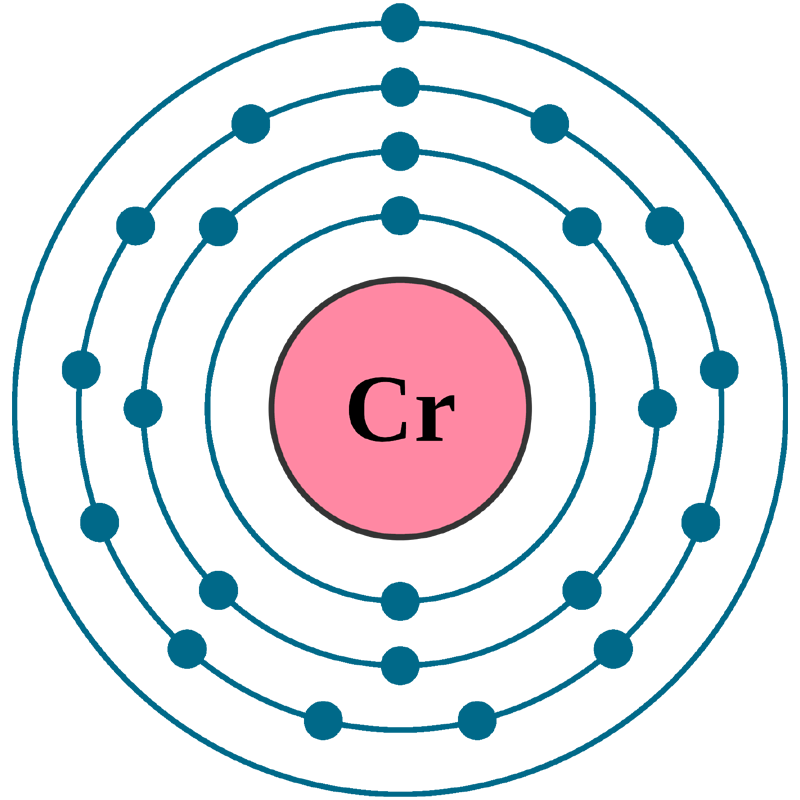 Metallic chromium dissolves in dilute hydrochloric acid (HCL), and forming Cr(II) and hydrogen gas (H2), and in this aqueous solution, Cr (II) is present as the complex ion [Cr(OH2)6]2+. Similar results are seen for sulphuric acid (H2SO4) but pure samples of chromium may be resistant to attack. Chromium metal does not react with nitric acid (HNO3) and in fact is passivated (make unreactive by altering the surface layer or coating the surface with a thin inert layer). 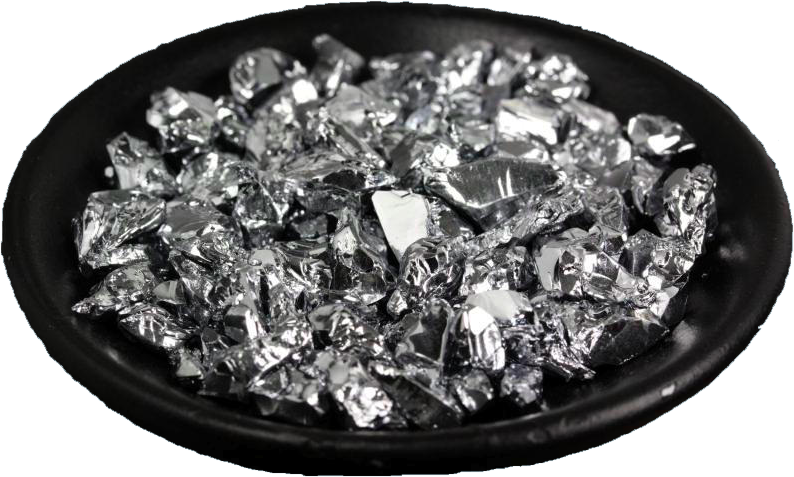 TheChromium is used to harden steel, to manufacture stainless steel (Contains10.5% Chromium) and to produce several useful alloys. AChromium is mostly used in plating to give a steel a polished silvery mirror coating (corrosion resistance), also to produce a hard, beautiful surface, Which is commonly used in Chromium-plated car and lorry parts, such as bumpers. All compounds of chromium are colored, and The most important chromates are those of sodium and potassium dichromate (Na2Cr2O7 & K2Cr2O7) , and the potassium and ammonium chrome alums (Chromium (III) potassium sulfate, KCr(SO4)2). The dichromates are used as oxidizing agents in quantitative analysis, to make molds for the firing of bricks, and also used in tanning leather (the waste effluent is toxic so alternatives are being investigated). AChromium compounds are widely used as industrial catalysts and pigments (in bright green, red yellow, and orange colours). Rubies get their red colour, and glass gets emerald green color from chromium. CrO2 (Chromium (IV) oxide) is used to manufacture magnetic tape. Chromium compounds are also used in the textile industry as mordants, and by the aircraft and other industries for anodizing aluminum (by electrochemical process). Chromium is an essential trace element for humans because it helps us to use glucose (in the action of insulin), We daily intake about 1 mg (milligram). However, it will be poisonous in excess quantity. Foods such as brewer’s yeast (Saccharomyces cerevisiae), wheat germ and kidney are rich in chromium. Chromium compounds are toxic and should be Proper handled with care. Chromium is found mainly in chromite (FeCr2O4) ore. 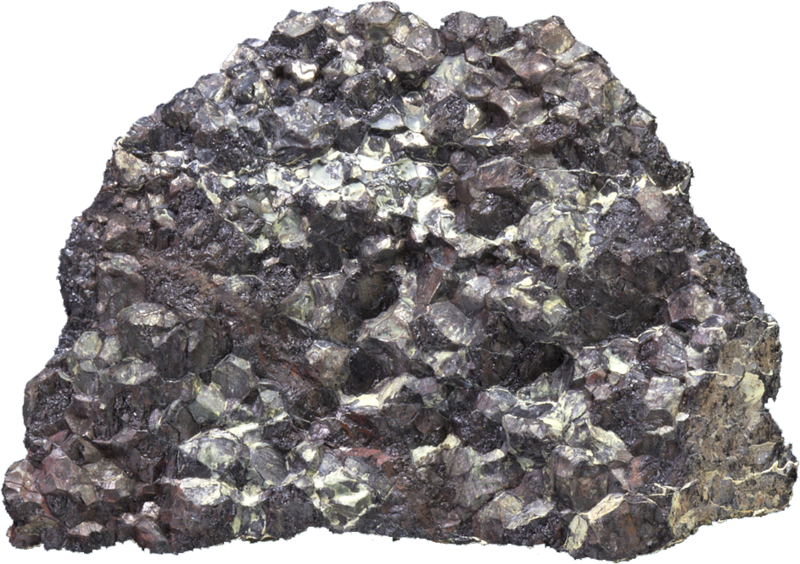 Commercially, The metal is usually produced by reducing chromium(III) oxide with aluminum or silicon, or by reducing chromite with carbon in an electric-arc furnace. Annual world wide production is around 8,00,000 tons.